Jabber Al Mazroui has succeeded in building one of the world’s largest aquaponics farms in the desert climes of the United Arab Emirates. He hopes aquaponics can boom, but local farmers are proving slow to adjust. Jabber Al Mazroui peers over the edge of a massive cylinder full of tea-brown water and hundreds of tilapia fish.The 55-year-old entrepreneur manages one of the world’s largest aquaponics farms. The facility relies on a relatively new agricultural method that uses the water in which fish are bred to provide irrigation and nutrition to a wide array of plants. This process saves a lot of water – making it especially relevant in arid regions like the United Arab Emitates where Al Mazroui’s 4,000 square meter farm is based. His manmade oasis is located off of a quiet desert road about 20 minutes from Abu Dhabi‘s city center. Al Mazroui developed the site just last year, but he has already begun to reap the fruits of his labor. Al Mazroui also grows broccoli, lettuce, aubergine, cabbage and cucumber and he is even experimenting with a papaya tree. The vegetables are sold in big supermarkets across Abu Dhabi, and Al Mazroui says some five-star restaurants have approached him about buying produce from his aquaponics farm too. The crops are lush and Al Mazroui proudly proclaims them to be all-natural and pesticide-free. What makes this system even more remarkable is the fact that it’s fully self-contained. After the water becomes too dirty for the fish, it’s moved on and broken down. The plants act as a natural filter for the water, while at the same time extracting the nutrients they need. At the end of it all, clean water moves back to the fish tanks to complete the cycle. It takes some prodding to get the rest of the story, but the small man, dressed all in white, admits that his interest in supplying sustainably-grown food did not take root during his formal schooling. “Sometimes I go to the university and they call me Doctor Jabber and I say no, no stop there! I’m not a doctor of anything!” he adds with a chuckle. Al-Mazroui sees himself more as an entrepreneur, than a scientist. But, his hunch about the potential of aquaponics is supported by experts in the region. Jean Yves Mervel is a professor of aquaculture at UAEU College of Food and Agriculture in the United Arab Emirates. 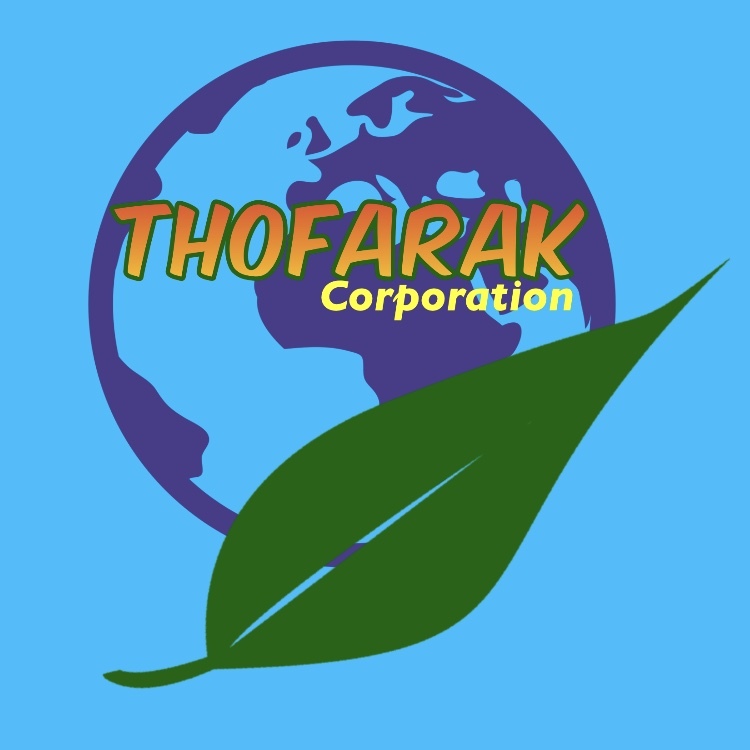 He believes that the impact of aquaponics on the environment is very minimal. 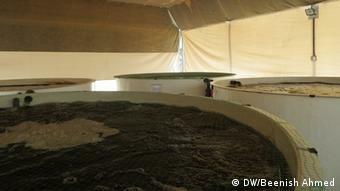 “There are no chemicals, no artificial fertilization, and you are re-using the water and re-using the fish waste,” he told DW. Mervel specializes in agricultural solutions in desert areas. 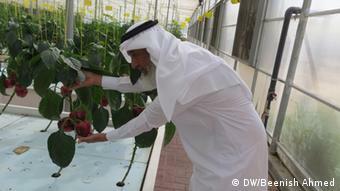 He says that aquaponics may offer an environmentally-sound source of food for a place like Abu Dhabi which currently imports nearly 90% of its food produce. “We are using the waste of one system to produce the other one, and I think it’s a win-win situation, where we have a very reduced problem with pollution,” he says. But, while aquaponics may seem to offer a fool-proof, seemingly never-ending, food source, Mervel warns that success on a large-scale has yet to be seen. “I think the traditional agriculture is slowing down the development of this activity,” Mervel says. Still, Mervel believes that if a shift to aquaponics does occur, it will most likely begin in a place like the United Arab Emirates, which doesn’t have much of a traditional farming industry already in place. Back on his farm, Jabber Al Mazroui says he truly believes that aquaponics facilities like his are the future of agriculture for his country. 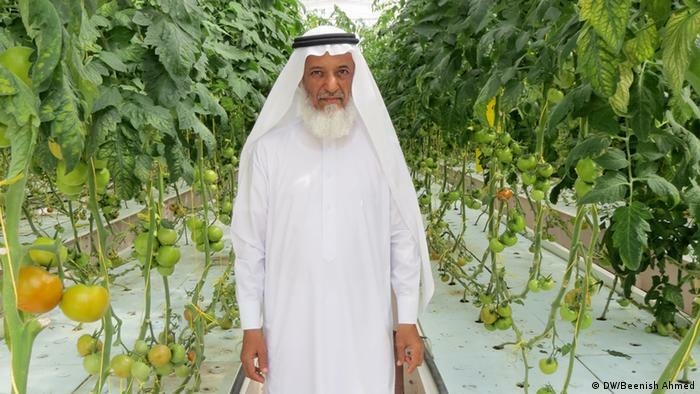 Al Mazroui hopes farms like his will develop at the same speed as the business center of Abu Dhabi, which, at the moment at least, seems to be sprouting more skyscrapers than leafy greens.